Over 22 million Americans miss out on the quality rest they need because they suffer from sleep apnea. Unfortunately, many people go without ever having the condition properly diagnosed, which hinders their chances of receiving adequate therapy. The first step to addressing the problem is to have a sleep test conducted. As you continue reading, find out how it plays a key role in helping you overcome sleep apnea in Plano. Is Your Partner’s Snoring a Sign of Sleep Apnea in Plano? Sometimes snoring is just a harmless habit. Other times, it can be a sign of sleep apnea in Plano. Only a healthcare professional can say for sure. Scheduling an appointment with your dentist will allow him or her to perform a complete oral and throat examination. 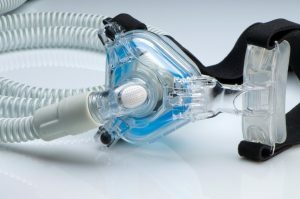 If apnea is suspected, then the next step is to conduct a formal sleep study. Comments Off on Is Your Partner’s Snoring a Sign of Sleep Apnea in Plano? Does your partner snore loudly at night? If so, he or she could be suffering from sleep apnea, a condition that is affecting millions of Americans. 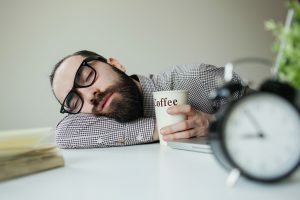 It leaves them unable to reap the full benefits of a night of sleep, and it can contribute to the development of some life-threatening conditions. With that in mind, the last thing this population wants to do is exacerbate the problem. Read on to learn how consuming alcohol and back-resting can make sleep apnea in Plano worse. Do you or your significant other snore loudly while sleeping? If so, then it could be a sign of sleep apnea in Plano. However, your sleep dentistry specialist says that is not the only symptom to be on the lookout for. As you continue reading, you’ll discover the many other warning signs to be aware of and how your sleep dentist can help out! CPAP vs. Oral Appliance: What Are My Treatment Options? 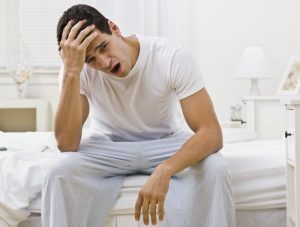 Are you among the 22 million Americans suffering from a poor night’s rest due to sleep apnea? If so, you need an effective form of treatment to restore your sleep quality while protecting your overall health. While in the past, a CPAP machine was the only option, now you can choose an alternative approach with an oral appliance. However, which one is right for you? There are key differences between the two, but both offer an effective solution to help you breathe easy at night. Comments Off on CPAP vs. Oral Appliance: What Are My Treatment Options? For some time now, you’ve been feeling tired, irritable and unable to focus throughout your day. At first, you thought it was because you weren’t getting enough sleep, but even after increasing your rest-time, the problem still persists. Your local dentist says these are signs of sleep apnea in Plano and explains how it may take a unique approach to get the relief you need. Read on to learn about the options available. Dealing with Chronic Fatigue? It May Be Sleep Apnea in Plano! If you’re feeling exhausted the moment you awake in the morning, even after getting to bed at a decent hour, there’s a chance that something else could be wrong inside your body. According to your dentist, one of these conditions could be sleep apnea, a condition often associated with chronic fatigue. Of course, your dentist doesn’t want you to confirm that to be the only possibility. Today, he’ll be discussing what chronic fatigue could be a sign of, what the other symptoms of sleep apnea in Plano are, and what he can do to help. Comments Off on Dealing with Chronic Fatigue? It May Be Sleep Apnea in Plano! 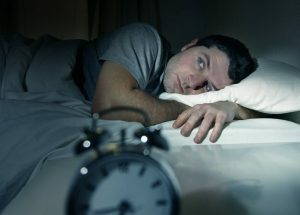 Do you wake often in the middle of the night for what seems to be for no reason at all? Perhaps you find yourself waking up to use the bathroom, even if you went before bed already. Maybe your significant other can’t take your snoring anymore and has to move to the other room to sleep uninterrupted. 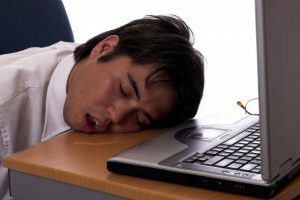 If these situations sound familiar, you may have sleep apnea in Plano and need treatment. Since sleep apnea can be difficult to diagnose, you’ll also want to consider these factors. Have you been told that when you sleep, the sounds of you snoring in Garland reverberate throughout the house? Does your significant other have to resort to placing a pillow over his or her ears at night while slumbering? Your local dentist says these may be signs that you are suffering from sleep apnea and need to be treated. Learn more about this condition and how you can get the relief you need.